I stepped into the bright and spacious lobby and the first thing I noticed was the large silhouettes of human figures that lined its walls, giving an interesting illusion of a busy lobby. Next, I noticed that there were no sofas but only a bench against one wall. I thought the clean lines and minimal concept was a welcome change as I approached the reception with Guillaume and Coralie, my French friends, who were travelling through South East Asia on a shoe-string budget. After the checking-in formalities, we walked upstairs – our footsteps silenced by the thick red-carpeted stairs. On the upstairs landing, I spotted the simple directional sign to rooms painted on the white-washed wall along with large outlines of human figures that appeared to be walking along the corridors! The contemporary lifestyle theme was nicely repeated here and I had a quick flashback of a hotel that I once saw in Paris. I later learnt that every room is designed with different wall illustrations, colours and thought-provoking captions. Every room has an individual identity and this gives repeat guests something interesting to look forward to each time they checked into the hotel. Then I noticed how Guillaume was pressing his palm on the bed and I guessed he was probably trying to test the mattress firmness. He and Coralie have been “roughing it out” in their travel from Hanoi through Cambodia and Thailand in the past few weeks and I guessed he was looking forward to sleeping on a comfortable bed. I was glad I was able to assure him that all beds in Zoom Inn are fitted with King Koil, a brand renowned for quality mattresses that promises good sleep! Designed in simple lines, soft touches and stylish en-suite bathrooms, the tiny room has a feel that’s reminiscent of a chic Parisian hotel room. Above the sink, the large mirror was hung in a stylish slant and I thought the innovative use of glass panels for the bathroom wall was a clever way to create the impression of more space. And if there were any qualms about using a bathroom or shower behind glass walls, the frosted finishing effectively protected the users’ modesty so there was really nothing outrageous about using glass for walls after all! The next day, a well-rested Guillaume made me laugh as he tried to find the English words to describe his pleasure in using the rain shower. I can guess it must be sheer bliss especially after he experienced our hot and humid weather. From what I learnt from my French friends, I know that Zoom Inn is a modern boutique hotel that’s just waiting to be discovered. A 2-km scenic drive on the coast road from Johor Baru city centre will lead you to Danga Bay. Zoom Inn is located in Danga Walk. From the Plus Highway, exit at Skudai tollgates and drive from the Skudai Highway through the Danga Bay Interchange to the Johor Bahru waterfront. 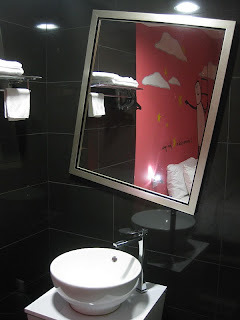 Affordable contemporary boutique hotel, smartly designed for maximum use of space. 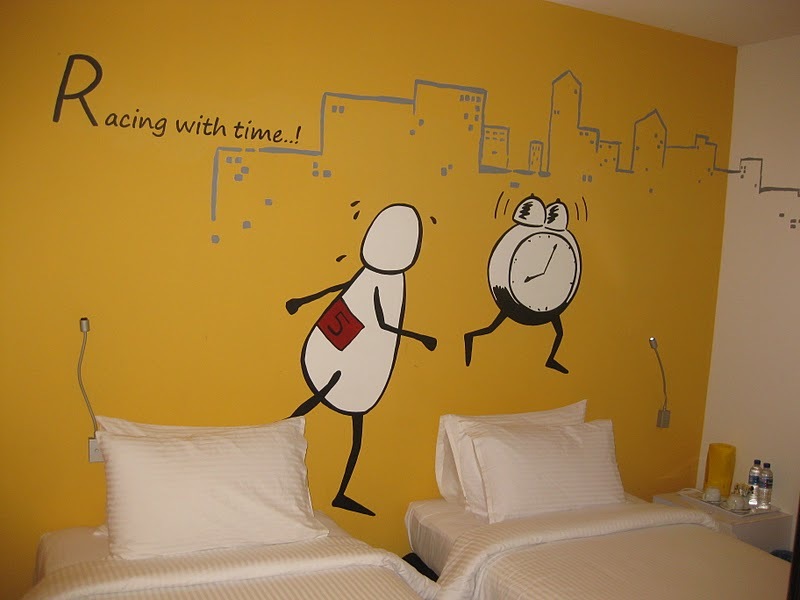 Total 28 rooms that range from Standard, Superior, Deluxe to Junior, Studio and Executive Suites designed with interesting wall illustrations to give each room a unique individuality. Rates inclusive of Government Tax start from between RM98 for Standard rooms to RM178 for the Executive Suite with RM20 rebate during promotion periods. Hot and cold beverages and snacks in a little café. Convenient high-speed internet access provided with desktop computers in adjacent café and convenience store. Laundry services are available in a neighbouring facility. Danga Bay, that spans 3km along the Johor Straits, is Johor Baru's largest recreational park. 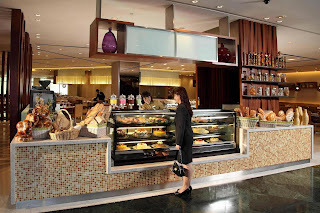 The International Restaurants and Chinese restaurants at the Danga Bay Convention Centre offer dining choices. Danga World features a children's theme park that opens from 3.00pm daily. 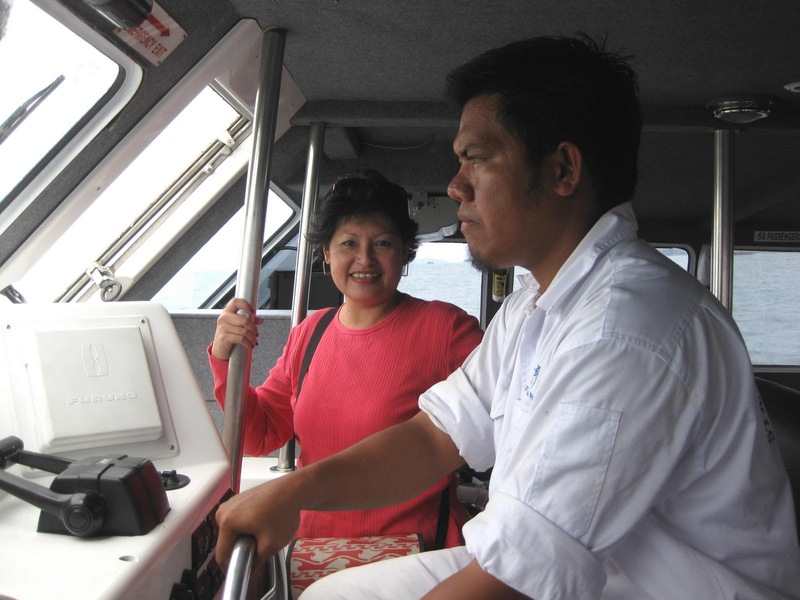 There are dinner cruises on board the Danga Cruise 8, that departs for a straits cruise at 8.00pm every Friday, Saturday and Sunday. IT started with pizza served from the back of his father’s coffee-shop in Kluang Baru, Johor. Twice-baked for soft insides and crispy edges, the pizza became so popular that Barnabas Lim Jit Tong soon opened a pizza outlet next door. But he did not stop there and more and more western specialties were added to the menu. With culinary experiences from Switzerland and the United States combined with his Kluang coffee-shop roots, Lim, 39, is no stranger to good food. When my family and I stepped into Barney’s recently, I was charmed by all the wood, particularly the glass-topped wooden tables that held various items within. Each table had a different theme with photos and mementos collected from Lim’s travels, locally and abroad. As a tribute to Kluang’s agriculture-based heritage, local products are widely used in Barney’s menu of appetisers, soups, salads, pasta, entrees and desserts. There’s a healthy and visually attractive red and white dragonfruit cocktail but I chose a tangy blend of red dragonfruit with passion fruit juice — it had bits of real fruit in it. 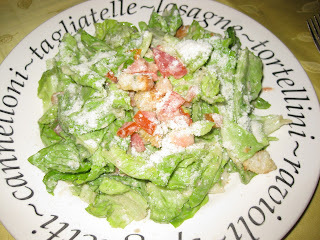 The Caesar Salad, topped with tiny cubes of crunchy croutons, was very refreshing for hot afternoons. When I sank my teeth into a wedge of pizza served with generous toppings, I knew why they were so irresistible. The pizzas were quickly being polished off but I managed to taste scrumptious wedges of beef pepperoni and chicken pineapple pizzas. “The goodness is in the gravy,” said Lim as he served us a big dish of seafood aglio olio spaghetti. He explained that prawns still in their shells, squid, fresh mussels and slices of fish were simmered together to create the succulent stock. Tantalised by the aroma, we shamelessly mopped up every drop of its tasty sauce! My fish ‘n chips was not served with the usual side of tartar sauce but it came with a special pineapple salsa sauce that I found amazingly agreeable. 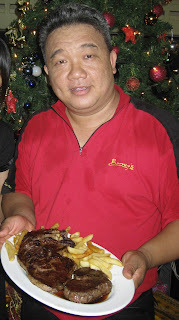 Lim said that although fish ‘n chips, grilled lamb chops and tenderloin steak with black-pepper sauce were popular choices, Barney’s Cordon Gold had a strong following too. 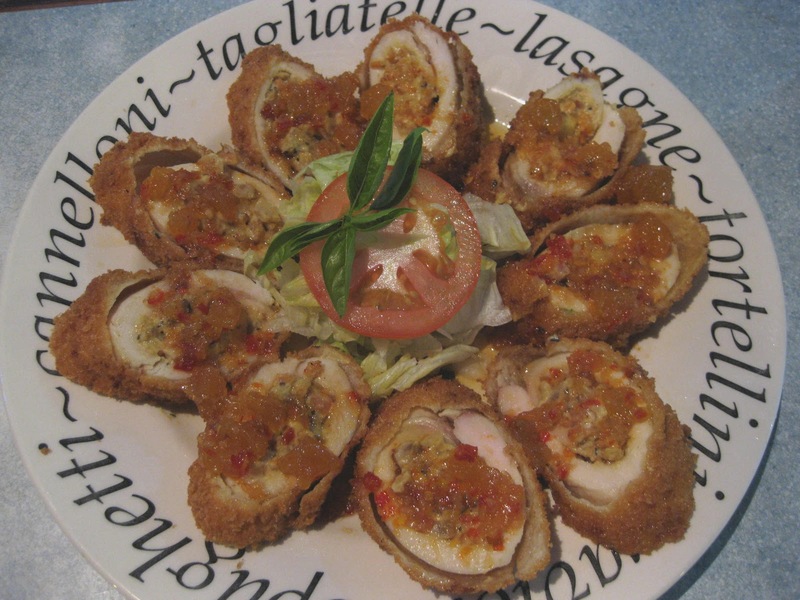 This was made of chicken salami, cheese and pineapple wrapped in tender boneless chicken breast and deepfried to perfection before being sliced and served with salsa sauce. There was somehow still room for dessert, so we shared Barney’s brownies with ice-cream, a light chocolate cake and classic tiramisu. The alternative smooth and piquant lemon cheesecake was also an absolute hit. Entrepreneur cook — that’s what Lim calls himself. While he has trained his staff to cook an interesting menu of Western cuisine with local flavours, he also enjoys mingling with guests. Regulars who are familiar with his specialties need only ask and he would happily slip into the kitchen to whip it up for them. 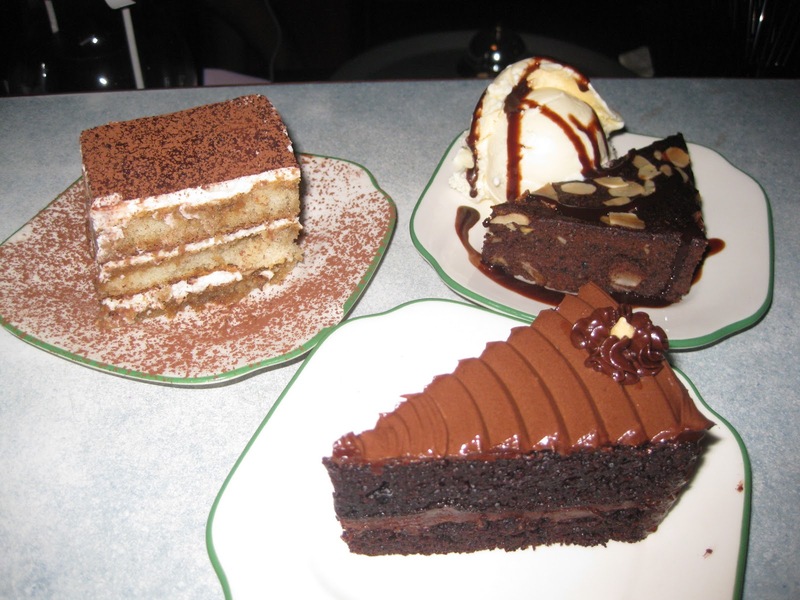 Lim understands that when most people come in for a Western meal, they want a special treat and a memorable celebration. So that’s what Barney’s customers are always assured of – good food and a great time! Barney’s catering service offers an eclectic menu of authentic Western, Malay and Chinese dishes and may include roasted whole lamb and “live” stations for pasta. Located at 5 & 6 Jalan Yayasan, Kluang, Barney’s is open daily from 11.30am to 10pm. It’s closed on Monday. Call 07–774 4992. No pork products are used on the premises. MOST people know that strawberries are grown in the cooler climes of Cameron Highlands. 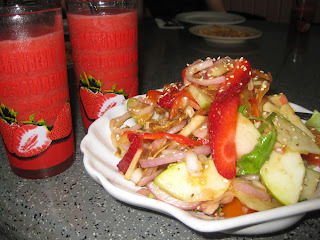 But if you’re in Johor and have a craving for fresh strawberries, get over to Daddy Village in Batu Pahat. The town may seem an unlikely place to find strawberries but Daddy Village is where you’ll find these luscious red berries. When Adam Chew left Cameron Highlands for his hometown, he not only brought home his Highlander wife but also made arrangements for a steady shipment of fresh strawberries to his restaurant in Batu Pahat. Daddy Village is a cosy eatery that’s popular with families and big groups and waiters are always kept busy serving a steady string of customers. Everyone in my group had wanted a light lunch but when we saw the delicious signature selections, we couldn’t resist ordering more than we had planned. While waiting for the food to arrive, we were served tumblers of fresh strawberry juice. As we took our first sip, our eyes widened with amazement. Everyone agreed that this was a most refreshing drink. 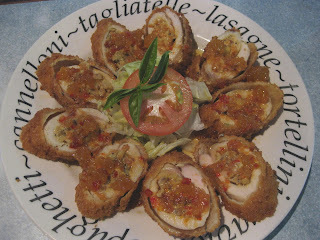 In fact, it was so good that we could not resist ordering a second round! The kerabu salad appetiser lived up to its name, whetting our appetite for more. 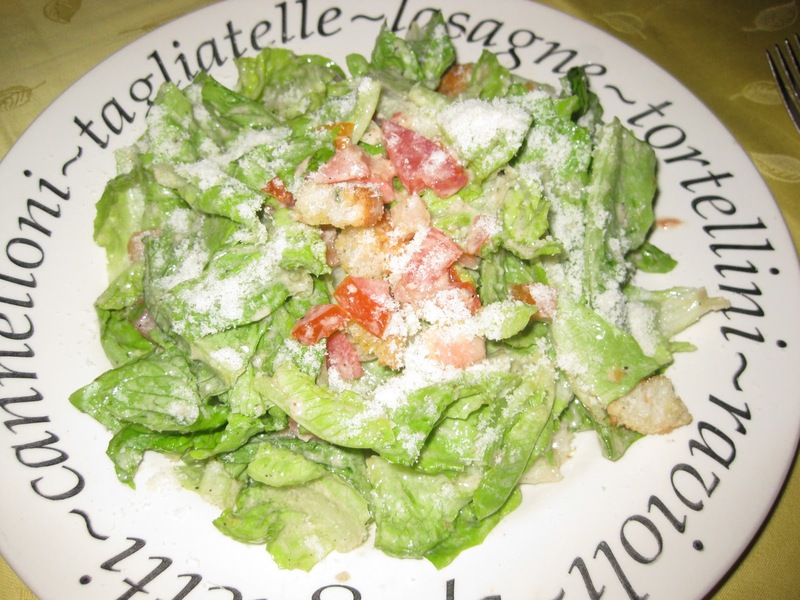 Slices of green and red apple, tomato, onion, lettuce and strawberry were tossed together and topped with a Chinese parsley, toasted ikan bilis and sesame seeds. The distinctly delectable flavour of bunga kantan or torch ginger flower, was what made this luscious salad so agreeable. 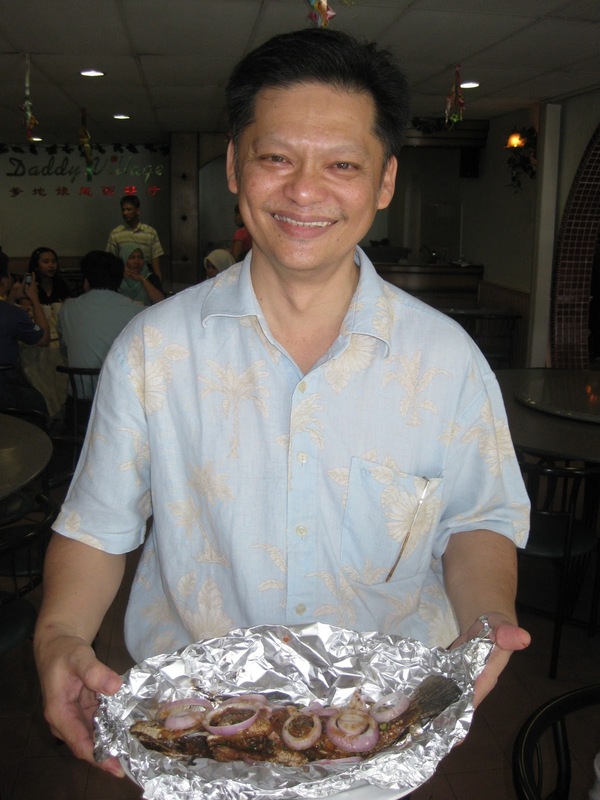 Chew personally served us his Daddy Special Fish and, with a dramatic flourish, unwrapped the aluminium foil to reveal his signature fish dish. A fragrant aroma assailed our nostrils. The scrumptious siakap was first deepfried and then wrapped, together with a special sauce, in foil to keep in all the natural juices and flavour. When we finished, there was nothing left on the plate but the bones. There are lots of other delectable dishes like steamed otah, stirfried eggplant in spicy sauce and tender mutton rendang to go with white rice. Black pepper fried rice and otah fried rice are popular one-dish meals. 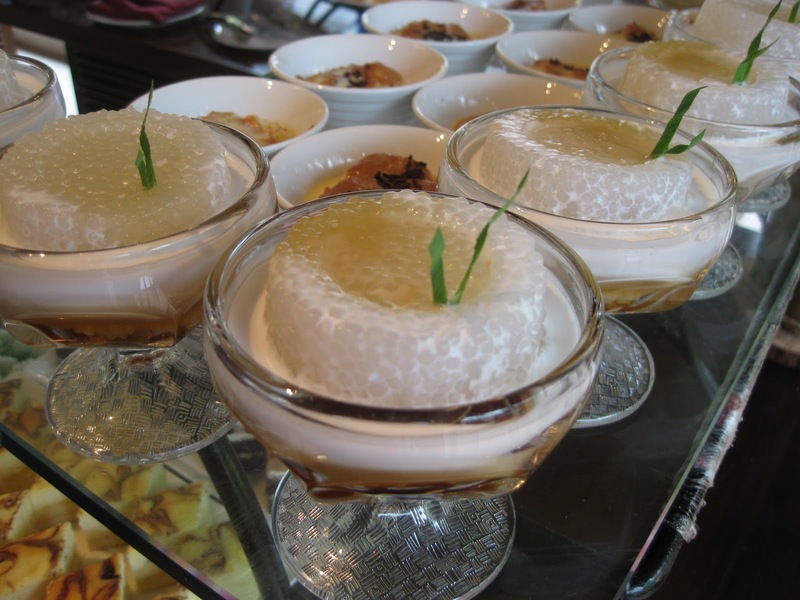 For dessert, local favourites include iced cendol, ice-kacang and sago gula melaka. When I asked him why the restaurant is called Daddy Village, Chew, himself a father of three, cheerfully explained that he wanted to pay tribute to all fathers. When families dine out, fathers are usually the ones who pay the bill, so Chew wanted to honour them by naming a favourite family restaurant after all dads! Daddy Village is a halal restaurant located at 18-20 Jalan Kundang 3, Taman Bukit Pasir, 83000 Batu Pahat. It’s open from 8.30am to 10.30pm daily and closed on Monday. For reservations and catering, call 07-433 9118. A LITTLE distance up the road from the busy sidewalk stalls in Batu Ferringhi, Penang, is Ferringhi Garden, a seafood and steak restaurant run by Peh Yeoh Woei Liang, better known as Chef Liang. Huge potted plants with towering fronds set among wooden tables in a matured garden created an oasis of refreshment in the busy Ferringhi beach area. I chose a table next to the splashing waterfall in the landscaped rock garden instead of the air-conditioned indoor section. Surrounded by so much greenery, it felt surprisingly secluded even though it was so close to the road! Ferringhi Garden opened for business 20 years ago but it was only in the last six years that it gradually expanded into a garden restaurant with a grill room. Voted the Cleanest And Most Pleasant Restaurant by the Penang City Council in 1997 and 2005, Ferringhi Garden also received the Golden Star Grade “A” award in 2003. The menu had explanations in English with pretty detailed descriptions so that both locals and tourists know what to expect. I thought the variety of curries, satay and dishes marked with levels of spiciness, was a great way for visitors to get a taste of local food culture. Since I had already had my fill of local fare in Penang, I decided to enjoy Liang’s recommendations. His presentation of an appetiser combination opened my senses to enjoy the whole dining experience. The Sensational Foursome had poached egg with parmesan, red wine and reduced garlic sauce, baked Portobello mushroom, mango salsa with smoked salmon and deep-fried scallop with Thai sauce. Every item looked too good to eat but dig in I did and I slowly savoured each distinct taste, letting the cold, warm, sweet and spicy flavours tickle my palate in turn! For the main course, pan-grilled red snapper with buttered rice and tender rack of lamb grilled with honey are popular choices but I thoroughly enjoyed my exquisite tenderloin medallion steak with creamy mushroom sauce, on bed of zucchini. In the flickering candlelight, I sliced through the steak to reveal its lovely pink centre! I had carefully saved space for dessert which included favourites like strawberry mousse, sake green tea mousse or tiramisu mousse. My obvious choice was the latter, served with a scoop of chocolate ice-cream and followed by a cup of fragrant, freshly brewed coffee. When I gave him my compliments, the affable Liang was quick to say that his inspirations came from his wide experience working in international resort hotels and the encouragement from his bosses, Evelyn and Richard Long. 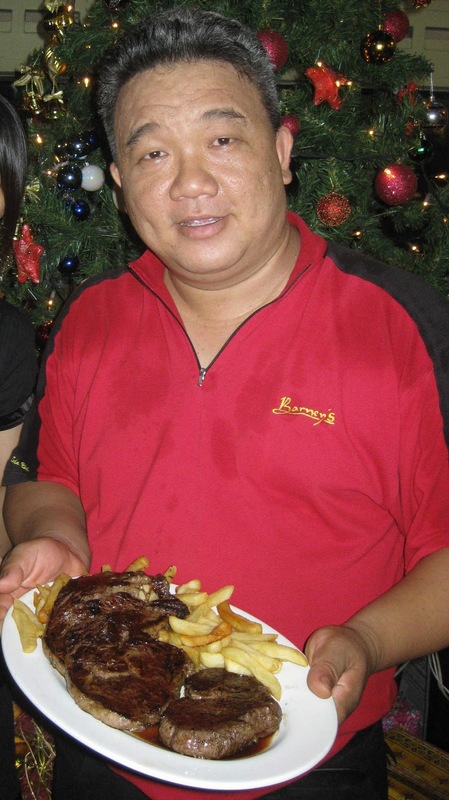 Born in Teluk Bahang and nicknamed White Goat, Liang’s training started when he was only 13 years old. Today he heads a team of 14 who are learning from his expertise and experience. An ex-student of St Xavier’s Institution, Richard said Ferringhi Garden stands on the original site where his mother once operated a café. Ferringhi Garden is located at 34-C, Batu Ferringhi, Penang. The restaurant also caters to private events and can seat up to 380 guests. For reservations, call 04-881 1193 or fax 04-881 1195. 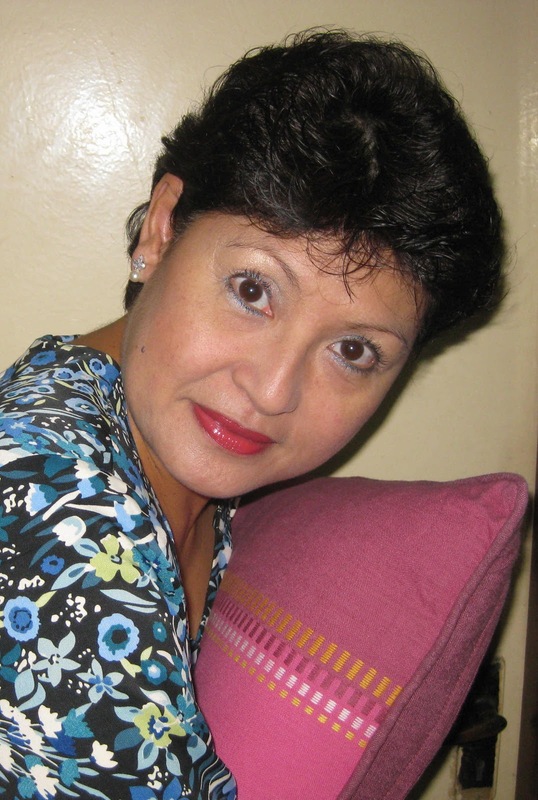 Mariam Hassan’s apple pies are served in royal households in Johor, Selangor, Pahang, Kelantan, Singapore and Brunei! PEGGY LOH finds out why. WHAT goes into an apple pie that has gone beyond our shores to grace the tables of royalty? Generous portions of fresh apples, a dash of cinnamon, sugar, butter and Mariam Hassan’s secret ingredients, baked to perfection in an ancient Dutch recipe. For more than 20 years, Mariam has been baking apple pies for the Johor royal household. The pies are also sent to the royal houses of Selangor and Pahang and more recently, to Kelantan, Singapore and even Brunei! But you needn’t be royalty to taste this awesome apple pie. Just go to the DM Bakery & Café in Mersing, opened more than a year ago to offer local and western favourites in a friendly kopitiam setting. With Mariam’s son, Sallehudin Sheikh Ahmad Nordin and his wife, Siti Quozaimah Ishak, taking care of operations, DM (Dapur Mariam) is fast gaining a loyal clientele in Mersing and beyond. Ask for signature dishes like nasi lemak kukus and nonya laksa prepared with Mariam’s special Penang recipe. Or enjoy a chicken chop and fish and chips. Round off your meal with a cup of hot local coffee and a wedge of apple pie served with a scoop of vanilla ice-cream. As the warm buttery pastry crumbles in your mouth, taste the tangy apple slices with the contrasting chill of vanilla ice-cream. When you savour this delightful dessert, you will soon understand why it has gained right royal approval! DM Bakery & Café is situated at 91-1, Jalan Jemaluang, the trunk road from Johor Baru to Mersing. Open daily from 7.30am to 10.30pm, its abbreviated name, DM, is affectionately referred to as “Depan Mobil” because it is located directly opposite a Mobil service station! For reservations and advance orders for apple pie, call 07-799 5737 or Siti Quozaimah Ishak, better known as Que, on 012-767 9909. Latest Update: DM Bakery & Cafe has ceased operations but Mariam's apple pies are still available exclusively through orders. Tel: +6012 727 4484. A CUP of steaming kopi and toast with kaya – two good enough reasons to get up early and board the 9.20am Express Rakyat at the Johor Baru train station. My destination: Kluang Railway Station Coffee Shop. Rail travel is the main mode of transport for plantation and manufactured goods from Kluang’s rich hinterland to Johor Port and Port Klang, so a train ride was just right for my nostalgic trip to Kluang. With only two short stops at Kempas Baru and Kulai, I travelled Superior Class in air-conditioned comfort to arrive promptly at Kluang Railway Station at 10.40am. Kluang Railway Station Coffee Shop has been serving kopi and toast since 1939. Other than a minimal few improvements, the outlet looks exactly as it did when the Lim family first started the business. 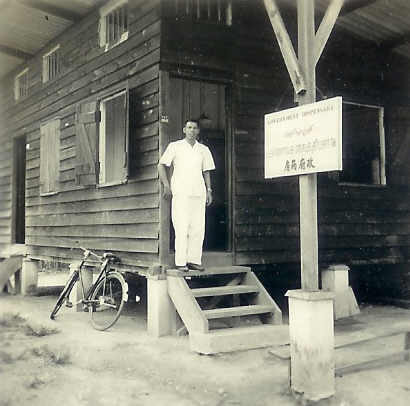 Jack Lim, a fourth generation Lim, practically grew up here. Now he runs this typical railway station café that time warps you back to another era the minute you step inside. Whirring overhead fans and a light breeze blowing through wire-netted walls cooled the interior while I sat at one of the long formica-topped tables to enjoy my much anticipated Kluang treat. Every morning, Lim brews and tastes the first cup of coffee himself before he serves customers. “I’ve been doing this the past 25 years,” he says. “There’s just no compromise on quality,” explains Lim. The locally grown coffee beans are carefully selected and roasted strictly according to the family recipe. Similarly, the rich, smooth kaya is prepared with the freshest ingredients using the family recipe. Most customers order roti kahwin, two slices of toast held together with melting butter and a generous spread of thick kaya. This is no ordinary toast. Slices of bread and buns are toasted to a golden crisp the traditional way – over a charcoal fire. One can also order perfectly half-boiled eggs, nasi lemak or fried mee-hoon wrapped in banana leaves. I was so ready for my roti kahwin that when my order of kopi “kurang manis” (less sweet hot coffee) and toast arrived, I wasted no time in sinking my teeth into the crisp toast. As melting chunks of butter mingled with kaya oozed out, I knew that my trip was worth every chug of the train. Take a drive along the scenic route from Johor Baru or via the North-South Highway and exit at Air Hitam toll to Kluang town or by rail to reach this little kopi-tiam. Set aside RM28 for return train fare and to purchase Kluang Rail Coffee powder at RM8 a pack and kaya at RM3.50 a tumbler. Open daily from 6.30am to 12.30pm and from 2.30pm to 6pm. Closed on Thursdays. Lunch is not served. I WAS rushing to join my group when a large sign at the hotel swimming pool caught my eye, stopping me in my tracks. I was rather amused but clearly, choice of clothing to wear in the pool was not a laughing matter for the management of the resort. When I spoke to the general manager about it, he smiled in sad resignation. For far too long now, some guests had ignored pool rules that included wearing proper swimming attire. 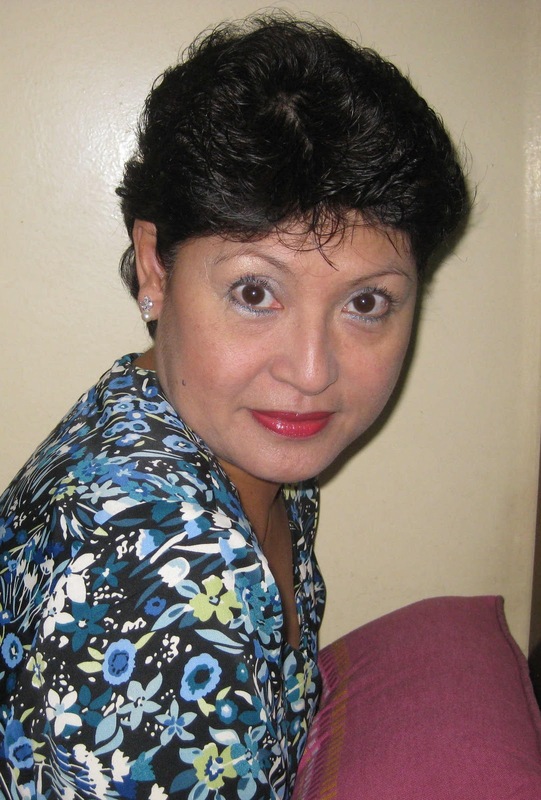 In our tropical climate, clothes are often soiled and soaked with sweat. Unfortunately, at the sight of the inviting swimming pool, guests were known to simply jump in, fully clothed in denim jeans and collared T-shirts or sarongs and tudung! This is both inconsiderate and unhygienic. In fact, it is absolutely offensive to other guests who wear proper swimwear because sweat-soaked garments swirling and spinning around in the water, turns the pool into a washing machine! According to the GM, upset guests had approached him so often on the matter that he felt compelled to take action. When he politely reminded the inconsiderate swimmers, he became an unpopular enforcer of pool rules. Since “a picture is worth a thousand words”, the management has resorted to using an illustrated signboard to indicate the preferred choice of swimwear that even the illiterate should understand. Today, fashion designers have created a whole line of stylish and modest swimwear for women that come complete with a matching cap. If these prove too pricey, one can always modify leotards or use other lightweight fabrics to sew one’s own swimwear. As for men, there is simply no excuse. Sadly, I have seen some young men trying to pass off their coloured briefs for swimming trunks! So, the next time you go on holiday, take a minute to read the pool rules before you step into the water. And remember that “doing your laundry” in the swimming pool is a no-no! TODAY, our techno-savvy generation will lose no time to upgrade to more advanced models of sophisticated and versatile models of Personal Digital Assistants or PDAs. But long before the electronic invasion, we all depended on a humble yet reliable organiser that could hold important data and fitted snugly into a pocket. This trusty little organiser is a miniature exercise book we fondly refer to as 555. Parents, who used it as pocket notebooks and telephone directories, introduced the usefulness of 555 to their school-going children to record reminders or school homework. The 555 had an important role in studies because it was often used to list out a series of times-tables or spellings as a quick reference for children to learn by heart! Its unique digital name is obviously derived from the numbers 555 printed on its cover. In any choice of pretty pastel colours, these three digits will be boldly emblazoned against pink, blue, green or yellow covers. Used by grocers for generations, these 555 pocket booklets had become a household name, synonymous with credit control with neighbourhood traders! That’s because before mega credit card companies came to our shores, families enjoyed good credit with towkays of friendly neighbourhood stores. Based on a high level of trust and integrity, grocers, kopitiam and vegetable vendors provided an excellent service where groceries, drinks and fresh products could be enjoyed on credit. These small “papa and mama” traders did not depend on electronic gadgets to swipe data cards but used their trusted little 555! The grocer maintained a filing system arranged with neat rows of well-thumbed 555s, each booklet with the name of every family who had an account with him. Very often, you and your family members were so familiar to him that the vendor knew which booklet to pull out even without asking for your name! Opening the pages of the dog-eared 555, the vendor would have his own method to record purchase entries into your account. At the end of each month, the total sum will be tallied up for payment and sometimes on compassionate grounds, kind-hearted grocers even allowed part-payments but without any interest or late payment charges! From businessmen, homemakers to schoolchildren – almost everyone had used it at some stage of their lives. And, in spite of modern record-keeping methods, these handy 555 booklets are still in use today and they remain very much part of the Malaysian way of life. So when you next pick up a 555, remember that it’s more than just an inexpensive and practical organiser. It’s also a nostalgic icon from a generation where people knew each other by name or trade, and when there was strong unity and integrity in a community of diverse races and religions. And just like any modern organiser, the familiar, pastel coloured 555 has been upgraded and given a facelift. The new and improved version retains its handy pocket size but the covers sport more jazzy designs with laminated finishing but always with the iconic 555 on its front! Some showers have a life of their own! IMAGINE standing stark naked in an unfamiliar hotel bathroom, wrestling with an unfamiliar shower. Not an ideal scenario, but if you can see the funny side, it can be quite hilarious. While some hotel bathrooms are fitted with easy-to-manage showers, a few are equipped with sophisticated mechanisms that often require serious manipulating before you are able to set them to the right temperature and spray. Some showers in older hotels need a couple of minutes to ‘warm up’, so beware or you’ll be in for a rude shock when icy cold water hits you! Aware of the havoc that can be wreaked by an unadjusted showerhead, you try to alter the setting on the showerhead before turning on the water. But to your horror, the whole showerhead comes off in your hand! What do you do now? Showers with flexible hoses are easier to manage because you can take them firmly in your hand while you adjust its temperature and pressure. However, if you are not sure which direction the showerhead is facing, you can easily lose control of the wild, surging water jets. If the shower curtains or sliding doors are not securely closed, just a few seconds of that fierce flow could easily drench the bathroom. Soaked items by the sink, drip marks on the mirror and flooded floors are all evidence of having lost the battle with that vicious shower. What’s worse is how some bathrooms are built on the wrong gradient and water collected on the floor does not flow out through the floor traps. Finally, you have to slosh through ankle-deep water to flee from your bathroom skirmish. The next time you undress for a shower, brace yourself and be ready to wrestle with that hotel shower because it often has a life of its own. IF you think the traffic situation in Kuala Lumpur, Georgetown and Johor Baru horrendous, wait till you land in the streets of South India. It is no place for the faint-hearted. Anyone who drives needs to acquire manoeuvering and survival skills in an instant. 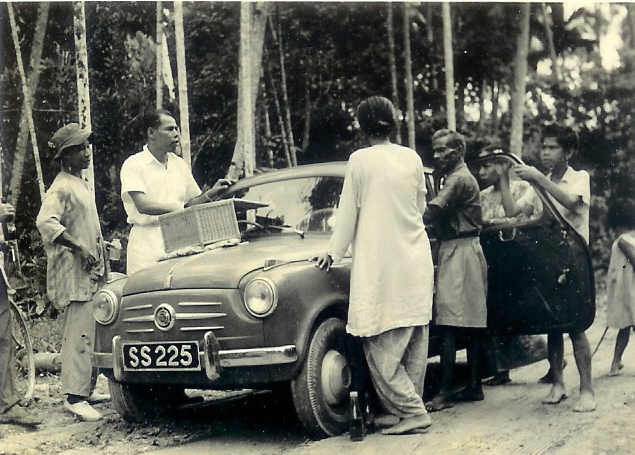 Even if you don’t have to contend with bullock-carts heaped with a mountain of dried hay, be prepared for the unruly onslaught of small cars, huge trucks, two-wheelers, three-wheelers and even eight-wheelers. Multiple pillion riders on these motorcyles! Morning and evening rush hours are the worst. Motorists overtake from any and all directions. “U-turns” are made anywhere and at a moment’s notice; pedestrians dart across streets without warning. Yet young women, duputtas flying in the wind, ride their two-wheelers with nonchalance. Sari-clad women skilfully perch themselves sideways on bikes behind their spouses and often, have two children piled on for good measure. Auto-rickshaws weave in and out of thick traffic while on overloaded buses, desperate passengers cling on by their fingertips with legs dangling freely! Nobody pays attention to traffic lights or respects your right of way. “Get out of my way!” screams the chorus of horns! Everyone wants to go first and honks incessantly at every turn and corner. A short journey in this deafening atmosphere is enough to give you a splitting headache. Amazingly, collisions are rare; perhaps like bats, they have an in-built sensory system! The Traffic Police has posted some interesting captions at strategic street corners to remind drivers that “Three is a crowd – avoid triples” and “Full gear – Fool’s gear. Go slow”. My personal favourite is “Go slow. Unless you have an appointment with God”! 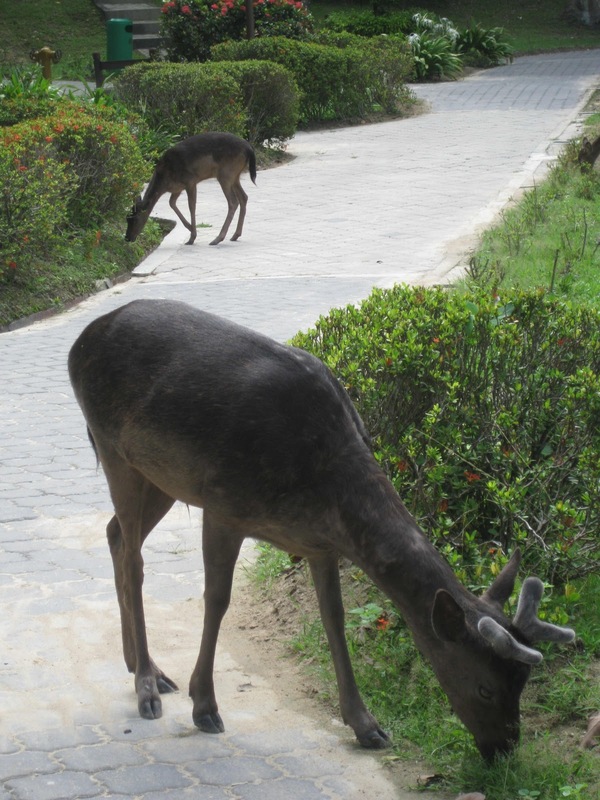 As if the mad traffic isn’t bad enough, there is this other problem of where residents respond to the call of nature. Things are so bad that signs have been put up in two languages: “Do not urinate here”! MY earliest memories of enjoying the smoky flavours of freshly grilled satay must be at the Satay Club, an open-air food court dedicated to these little skewers of meat. Opposite the railway station in Johor Baru, it was the central spot for satay lovers since the 1930s until it was demolished nearly 50 years later for development. The aroma alone was enough to draw the crowd. 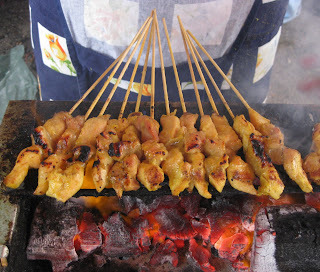 Sticks of satay were grilled in full view of the customers and servings continuously replenished until vendors were told “cukup” (enough). The Satay Club had beautiful stone tables with designs in mosaic tiles, with matching stone stools welded to the ground. 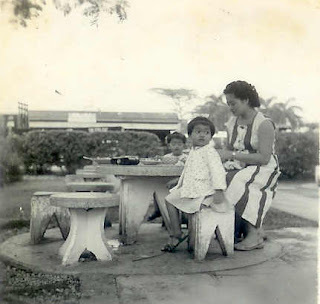 Sitting on the stools was quite tricky for me then — as a little girl, my short hands hardly reached the table and it was impossible to eat without dripping satay sauce all over — so I would stand close to the table to eat. But that still didn’t stop me from making a big mess! Today satay makers use bamboo skewers. 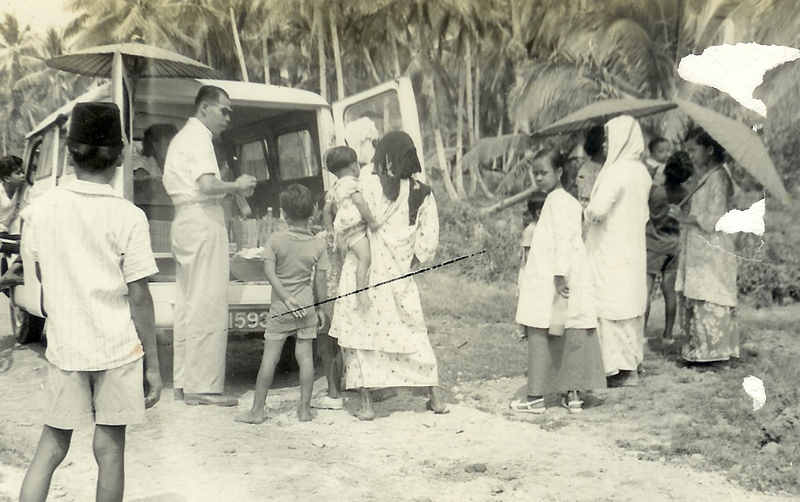 But back then at the Satay Club, satay sticks were made using the mid-rib or spine of the coconut leaf. I used to watch the vendors sharpening the spines to make the skewers. Satay may have originated in Indonesia but it’s very popular in other South East Asian countries like Malaysia, Singapore and the Philippines. In Malaysia, satay is found in every State and is available throughout the year in restaurants, food courts and travelling vendors. It is a must for special celebrations and parties. I should know because, if satay is served at a buffet, that’s what I’d usually start with. To experience the full flavour of the fragrant satay, the skewers of meat should be first dipped in a peanut sauce and eaten with slices of raw onions and cucumbers as well as ketupat, a boiled rice cake. My favourites are beef and chicken satay but I would leave mutton, venison, fish and exotic fare like deer and rabbit, especially intestines and gizzards to other connoisseurs! While different regions have developed their own unique versions of satay, my friends and I agree that the one served in Kajang has gained a reputation as one of the nation’s best. Why do people peel the skin off pau before eating? 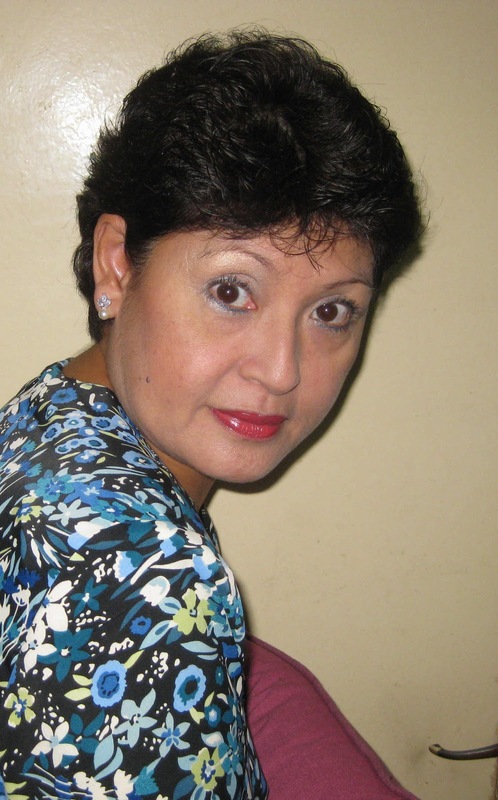 PEGGY LOH unearths a squeamish possibility. EVER wondered why people peel the skin of pau pastry before eating? This question popped up while my friends and I were enjoying a dim sum breakfast. I had always thought it was for hygienic reasons because the pau may have been handled by less-than-clean hands. Some people don’t even bother to peel off the thin top layer, considering this a waste of time and effort. Our discussion turned into a heated debate but I soon learned, to my horror, the reason why you should peel the pau. Now digest this. To make pau, the dough is rolled and cut into pieces for stuffing and shaping into dumplings. Stuffed pau would be arranged on woven bamboo trays that will be stacked up on the steamer. When a tray was about to be stacked for steaming, the pau maker would sprinkle the pau with water. It seems that in those days before handy pump sprinklers were invented, the pau maker would balloon his mouth with a gulp of water and flex his cheek muscles to expel a fine spray of water to moisten the pau! Even though super-heated temperatures in the steamer should kill all kinds of bacteria, this bizarre final step was the reason why customers would peel off the pau skin before eating! WHAT better way to have a me-time than to head to a place with a charming ambience, lots of good food and personal pampering? It gets even better if it comes with sun, sand and sea. I gladly leave my cares behind when I make a quick escape from Tanjung Leman jetty in Mersing, Johor, with less than half-hour’s air-conditioned ride on the Pelican to Pulau Sibu. And now, here I am, stretched out on a deckchair in Sibu Island Resort, reading a juicy novel, with no mechanical devices to remind me of the time except the sun and my stomach. At the resort jetty, I am welcomed by a series of strange squawking calls that pierce the pleasant symphony of swishing palms. I look around and trace its origin to a proud peacock perched on the roof of an animal pen filled with young goats and miniature ornamental chickens. 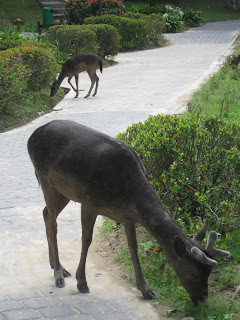 To study the layout map of the resort, I decline the buggy service and instead, I take an unhurried walk to my chalet. Following the signposts, I walk through a network of paved paths lined with flowery bushes that wind around wooden, kampung-style chalets built to blend in with the island’s undulating terrain. I watch buzzing bees and black butterflies flitting around tiny red flowers but when I see a flock of deer, I freeze in my tracks. They are feeding but stop to look at me briefly before coolly continuing with their meal. They are so tame that they go on chewing, ignoring me as I snap their pictures! On the grassy patches next to the stilts of the raised chalets are iridescent colours from the shimmering feathers of several peacocks. I approach cautiously to admire their beautiful plumage and I am pleasantly surprised that they are equally curious and bold enough to venture close to my outstretched hand, probably hoping to receive some tasty tidbits. As I explore further, I see how the resort is preserving an eco-friendly environment for everyone to enjoy the island’s idyllic beauty. 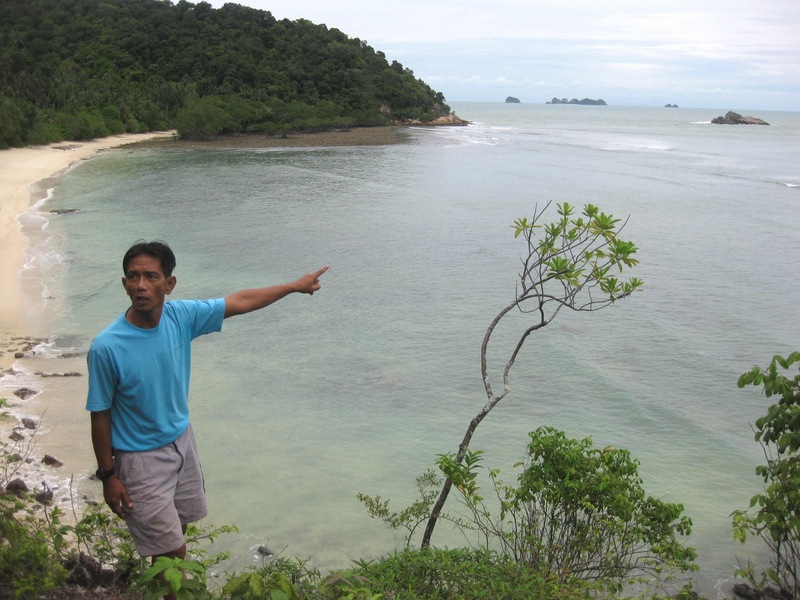 For a bit of island adventure, resort adventure ambassador Mohd Khairudin Samad leads me on a jungle trek across the island to Beach No 4. The tide is out as we inch our way over spiky rocks to reach a rocky outcrop and start the ascent to the lookout point. 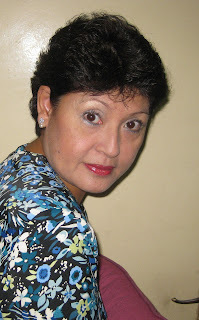 Thank God for hand-holds - the thick ropes stretched from tree to tree — as the climb is quite steep. However, the reward is a wonderful wind-swept vista of the azure sea dotted with islands as far as the eye can see. Beach No 4 is preserved as a turtle sanctuary and I learn that in July this year, at least five leatherback turtles laid their eggs here. When the eggs hatched, the resort staff nurtured the baby turtles until they were ready to be released into the sea. It’s not turtle season at the time of my visit but I keep my eyes peeled, hoping to spot some anyway. Instead I see a hermit crab scrambling on his merry way along this virtually untouched stretch of beach. Back at the resort, recreation manager Mohd Shamsudin Mukhtar regales me with amusing anecdotes of the water’s brilliant colours and beautiful corals. Unfortunately, the weather does not permit me to go for my own undersea adventure. Lumba Lumba café serves a variety of food that is both easy on the eye and most agreeable on my palate. Executive chef Mohamed Razif Haron lives up to his reputation as a celebrity chef and creates interesting buffet menus comprising both local and international fare with pleasing presentations and delectable flavours. That night, at the poolside barbecue buffet, there are so many interesting sauces that I need help to figure out which sauce goes with which meat – seafood, chicken and others. The chicken is grilled just right and as I chew, I can taste how it is marvelously marinated and free from fat. To top off my “me-time” on the island, I make an appointment with the Holistic Spa and chose the Sibu Classic, a signature relaxing aromatherapy massage. 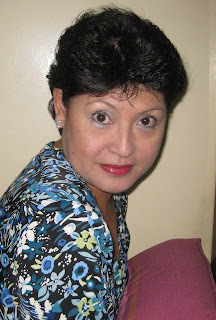 Surrounded by stimulating aromas and the hum of soft music, I surrender myself to the professional hands of Idah, my therapist, letting her skillfully restore a sense of balance in me. With mind and body blissfully rejuvenated, I float back to my room and indulge in a short lie-in on cool, comfortable cotton sheets before I reluctantly stir myself to pack and leave, revived and ready to face the real world again. Sibu Island Resort offers packages for family leisure, honeymoon and corporate team-building. Take advantage of special holiday packages valid from now till March 31, 2010, that are inclusive of catamaran sea transfer, breakfast, dinner and a complimentary land activity for each day of your stay. Pick your activity from jungle trekking, archery, an adrenalin-pumping time on the flying fox or the Poco-Poco dance workout. Getting There: Plan your arrival to catch the catamaran which departs from Tanjung Leman at 11am, 2pm and 5pm. Parking for self-drive cars is available at Tanjung Leman Jetty at RM5 a day. Details, call 07-219 9813, Fax: 07-223 1188 or visit website: http://www.sibuislandresort.com.my/. Stepping into the Mutiara Johor Bahru is like coming home because familiar faces greet and welcome me by name. As the first international class hotel in Johor Bahru, this hotel went through several name changes and upgrading over the last 28 years but one thing remains unchanged – it’s hallmark of warm and welcoming hospitality. Come to think of it, I book my friends into this hotel so often that I know its telephone number by heart! But now I discovered that one of the changes in the hotel’s recent renovations is its new telephone number. I’m terrible with numbers but I guess it’s not too difficult to memorise 330 0300, Mutiara JB’s new telephone number! The creative fresh-flower arrangement in the lobby is always a conversation piece and as I finish admiring it, my attention is drawn to the colourful display of cakes, breads and pastries in the sparkling new Mutiara Terrace & Deli Corner. Behind this impressive deli island, the once familiar Seri Mutiara Restaurant is now transformed into a spacious and stylish dining room with “live” cooking stations and interesting buffet serving areas. My room is fitted with new carpets and curtains and the super-size single beds in the deluxe twin room gives me the impression of a larger room but the sleek flat-screen television that replaced the bulky television cupboard certainly creates more space. While guests at the Club Floor enjoy more complimentary privileges and services, the hotel also has well thought-out features in rooms specially designed for the disabled. In these special rooms, beds are of a convenient height and the peephole on the door is placed for easy access by wheelchair-bound guests. For family bonding and total peace of mind, families with kids below age 12 can enjoy the Junior Club Suite designed with a room-within-a-room, furnished in three different themes – Football Fever, Musical Notes and Secret Garden. This cosy kid’s alcove is fitted with double-decker beds, cuddly toys, board games and a desktop Play Station with an exciting selection of games to keep the kids occupied for hours. So while dad is at work, mum can catch up with some reading because she knows it will be hard to get the kids out of the room! The Mutiara JB is primarily a corporate hotel mainly servicing the oil and gas industry and remains popular with families of these professionals during weekends and holidays. The hotel provides a convenient service in making tour bookings for city sight-seeing and to the Integrated Resorts across the Causeway. Tickets to Universal Studios in Singapore’s Sentosa Island are pre-purchased and such day trips are fast gaining popularity among hotel guests. Mutiara’s 24-hour stay privilege is a convenience for business travellers who check-in late and allows them to maximize their stay and enjoy the many facilities in and around the hotel. There are many hotels in the city but with exceptional service quality and personalized attention, it’s not surprising that the Mutiara JB remains the preferred hotel for many. Easily accessible from the Tebrau Highway, the main road that connects to the North-South Highway from the North and with Johor Bahru city and Causeway from Singapore. Excellent location with convenient access to business, shopping and entertainment, complemented by established transport system to Singapore, airport, ports and industrial areas. Clean and comfortable ambience with friendly staff. 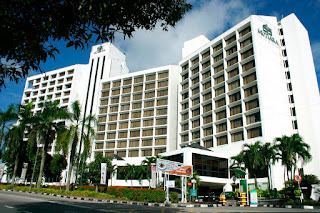 Total 332 rooms and suites in the Tebrau Wing and Pelangi Wing with Club Floor facilities, specially equipped rooms for the Handicapped and uniquely designed Junior Club Suites for families with young children. Meisan Szechuan Restaurant still serves the most authentic Szechuan cuisine in the city and its signature man-tou fried buns are a must with Szechuan hot and sour soup. Dinner and drinks in Capri the Continental Restaurant comes with live music entertainment while the Polo Lounge rocks with live band performances up to 1am. Chill out with snacks, drinks and ice-cream at the Poolside Bar or indulge in a mouth-watering range of cakes and pastries from the Mutiara Terrace & Deli Corner. The spanking new Seri Mutiara Restaurant serves daily lunch buffets with dinner buffets on Fridays and Saturdays, and High Tea buffets on weekends and special holidays. Convenient high-speed internet access in all rooms, a Business Centre, ballroom and function rooms, swimming pool, non-smoking floors, Club Floor facilities and Fitness Centre with sauna, steam-bath and massage or aromatherapy services. Guest Shops with hairdresser, beauty parlour, fashion boutique, florist, souvenirs and fine watches. Concierge services including city shuttle arrangements and tour bookings to places of interest in Johor and Singapore. The adjacent Holiday Plaza Shopping Centre with Spa Manja just across the road and local street food at Taman Sri Tebrau Food Centre. HE stood close, looking me over curiously but I stared back, checking out his long eye-lashes and even longer and muscular legs. He was definitely tall, dark and handsome. As we shared a heated gaze, my host came over and introduced Jerry, the tame and friendly ostrich which happily “escorted” us into the Ostrich Showfarm. Clusters of curious ostriches safely corralled in pens, craned their long necks to get a better view of us while Jerry, my new-found feathered friend hovered nearby. Ostrich farmer and entrepreneur Colin Teh is full of enthusiasm about his ostriches. He and his wife, Joyce, started the farm 13 years ago with 32 birds. In 2001, they moved to the present site when the numbers grew to over 300 birds. Up to a dozen eggs are collected daily and when Teh put an egg into my hands, my arms sagged under its 1.5kg weight. Placing it on the sandy soil, a man stood on it to demonstrate the incredible strength of its shell. Using a power drill, Teh carefully bored a small hole and poured out its contents, equivalent to 24 chicken eggs, high in protein and low in cholesterol. Ostriches do three things very well — eat, sleep and mate. Each bird eats about seven kg of a healthy vegetarian diet of grass, soya and corn with vegetable protein supplements daily. They can live up to 60 years and females aged between two and 25 years can lay up to 1,000 eggs each in its life span. Ostriches breed in summer but since it’s summer all year round here, be prepared to answer your child’s curious questions if you happen to see the birds doing what comes naturally! The farm keeps fertilised eggs in incubators at temperature of 40ºC and, at the end of 42 days, the chicks will peck their way out of the eggshells. Newborns are kept in a constant-temperature warmer until they are strong enough to be moved to sheltered pens. These chicks have speckled necks and grey, damp-looking feathers but when they mature, a male like Jerry will look smart with a shiny sheen of black feathers tipped with white plumes. Teh has trained his ostriches to dance ballet and the shakey-shake. One of the ostriches, Lulu, is tame enough to ride on. If you have a taste for more action, a kick-boxing show can be arranged. Ostriches will kick in self-defence, so it makes sense not to provoke them because one kick packs a powerful 500kg force! In the souvenir shop, I saw some amazing products derived from ostriches. Ostrich skin leather, dyed in different shades, had been made into bags, pouches, wallets and shoes. Feathers dyed in pretty colours make excellent dusters because they are anti-static and do not trap dust. A showcase displayed an attractive range of eggshells painted with illustrations and Chinese calligraphy. When Teh flipped the switch, eggshell lampshades, fitted with wooden stands and bulbs on their base, lit up with a yellow glow. If you enjoy exotic meat, there’s dried ostrich meat sold in sealed packets. It tastes like beef but is more tender and said to be healthier. Teh said dried ostrich bones and tendons can be boiled and taken as a soup to help to relieve conditions like arthritis and ostrich oil ointment helps relieve skin problems and headaches. After the interesting tour, I sat down to try a slice of ostrich egg crepe and I cannot forget the aroma and juicy flavour of ostrich meat grilled to perfection as skewers of tender satay. 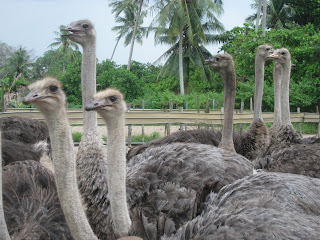 Located at EMR 15 Teluk Ramunia in the south-eastern tip of Johor, the Ostrich Showfarm is open daily from 10am to 6pm. Advance notice is recommended for group visits. The entrance fee is RM10 for adult and RM6 for child below 10. For enquiries, call 07-826 5846 or 019-610 8544/016-770 8544. RECENTLY, I was in the old part of the Gelang Patah town. Walking on narrow pavements next to tiny zinc-roofed shops, coffeeshops and traditional provision stores, it looked like time had stood still there. I looked for the old government dispensary and when I saw it from an overgrown compound, I did not hesitate to sneak in for a closer look. I was amazed that it looked almost the same now as when dad was working there. Now, its wooden walls are painted dark green, the windows replaced by glass shutters and the staircase rebuilt with concrete. It stood silently under the scorching sun and appeared to be still in use. When dad was transferred to work in Gelang Patah in 1958, he commuted from Johor Baru almost daily for six years. 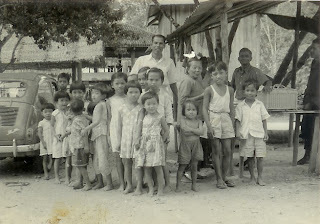 While the dispensary had regular opening hours for patients, dad also had to visit remote villages and rubber estates as a "mobile dispensary". An attendant usually accompanied him but when I was old enough, he would often bring me along. In the early days, there was no provision for a government four-wheel-drive vehicle. With our Volkswagen Beetle loaded with medical supplies, we would set out for a day trip to villages that were not as accessible as they are today. 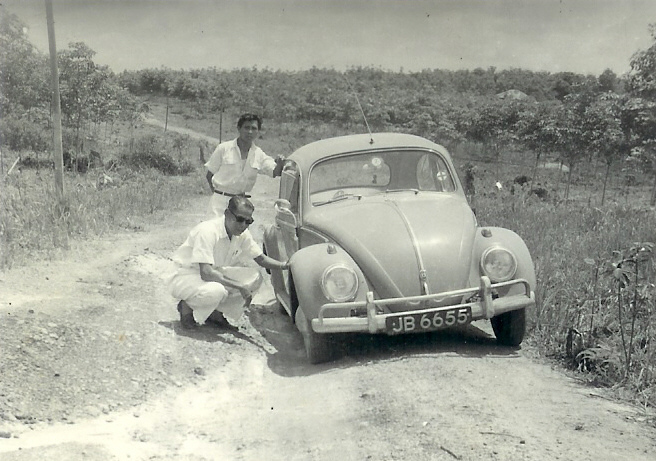 Our car would bump along uneven laterite roads in all kinds of weather. When a Land Rover was provided, my siblings and I looked forward to school holidays so that we could travel with dad and enjoy the ride at the rear of the vehicle. We also wanted to sit in a sampan on trips to fishing villages. 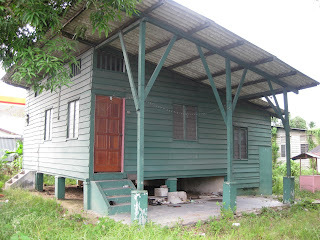 Dad would operate from the village balai raya or community hall, or in a shelter provided by the estate management. Sometimes he would just work by the roadside. I remembered how dad would sound the horn to signal his arrival and almost instantly, people would make a beeline to see him. It was interesting to watch dad meet his patients in such rustic surroundings because it reminded me of scenes from a safari movie. Dad would strike up convivial conversations before prescribing medicine or dressing wounds. It never ceased to amaze me when he spoke to patients in Malay, a variety of Chinese dialects or in a smattering of Tamil. Usually, while dad attended to patients, we would explore nearby areas. These travelling adventures were probably my first exposure to eco- and agro-tourism because I saw the lifestyle of rubber tappers, farmers and fishermen. I also discovered a variety of trees, fruits, insects and small animals. It was exciting to see monkeys, squirrels, monitor lizards and various fowls. The sight of a turkey strutting around with outspread feathers, was always fascinating. Dad put up an umbrella for shade on a sunny day! Dad's living quarters was at the back of the dispensary and he would occasionally spend a few days there instead of coming home. On these nights, he would join his mates to hunt for wild boar that terrorised the villagers. Occasionally, he would bring home flying-foxes with black wings and scary fangs that looked like miniature vampires. In untamed vicinity, dad would come across giant centipedes, millipedes, enormous rhinoceros beetles, spiders and a variety of snakes which he would trap and preserve in glass bottles. Sometimes bite victims would bring the guilty creatures to add to dad's expanding collection. If city kids only read about rubber trees, my siblings and I were familiar with how milky latex would drip into ceramic cups tied to freshly tapped trees. We were well acquainted with the pong of rotting rubber waste and as we had fun collecting rubber seeds, we hardly felt the mosquito bites. Sometimes we would sit on wooden jetties to watch fishing boats, surrounded by a strong smell from trays of fish drying under the sun. Thanks to these trips, I knew places like Gelang Patah, Tanjung Kupang and Teluk Sengat long before they made headlines. I guess my taste for travel and adventure was inspired by "travelling" with dad and now, I can truly appreciate the diverse sights, sounds and smells in my own travel escapades.